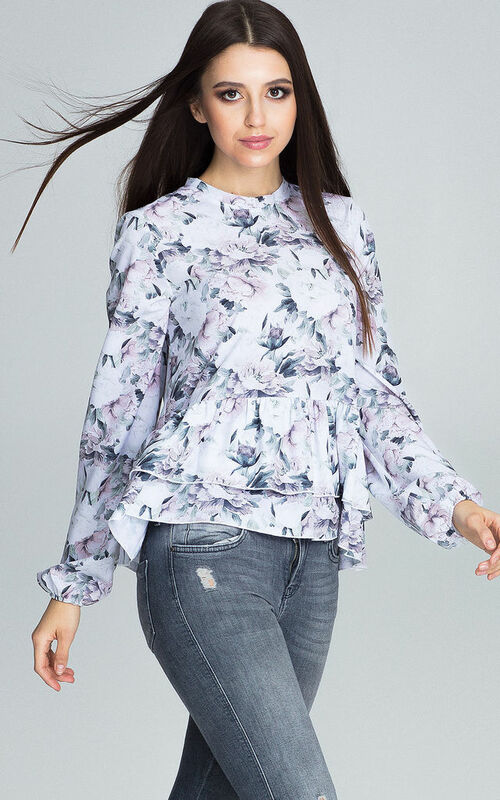 Loose blouse in floral print with long sleeves. 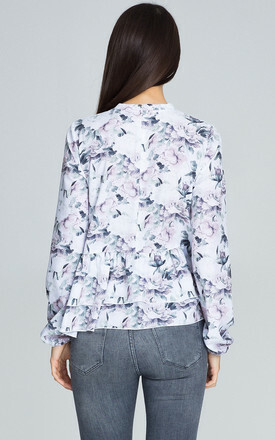 Neckline on the stand-up collar, slightly creased sleeve, two frills at the waist. Fits beautifully with trousers or a skirt. Absolutley Must Have this summer.